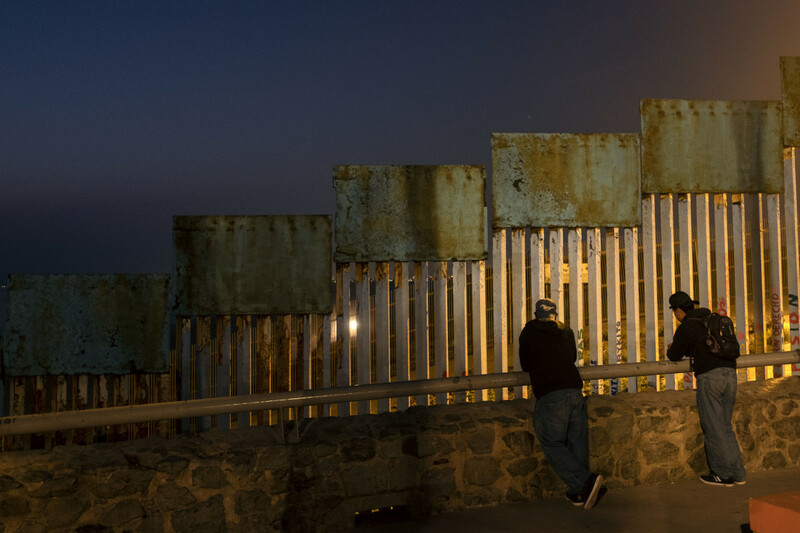 Two migrants lean against a rail next to the U.S.-Mexico border fence in Tijuana, Mexico, on August 10th, 2018. 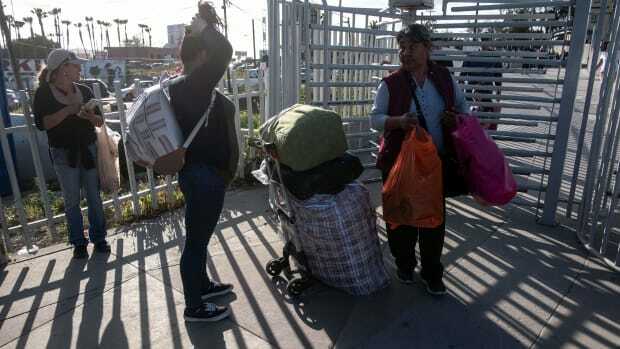 Since January, the Trump administration has been sending asylum seekers from San Diego over a foot bridge across the border back into Tijuana, Mexico—one of the world&apos;s most dangerous cities—to wait out the duration of their court proceedings. 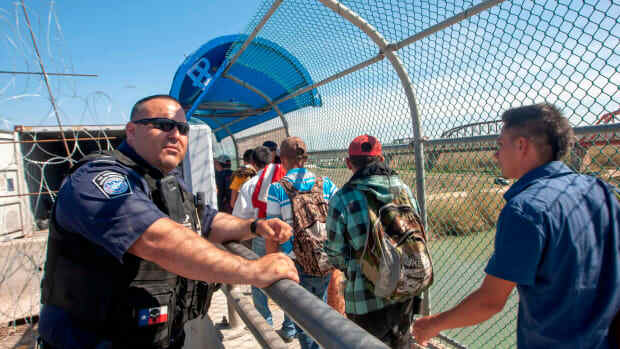 On Wednesday, while the American Civil Liberties Union and its allies fought the policy in a federal court in San Francisco, the administration announced that it would expand the so-called "Remain in Mexico" plan to asylum seekers in El Paso, Texas. 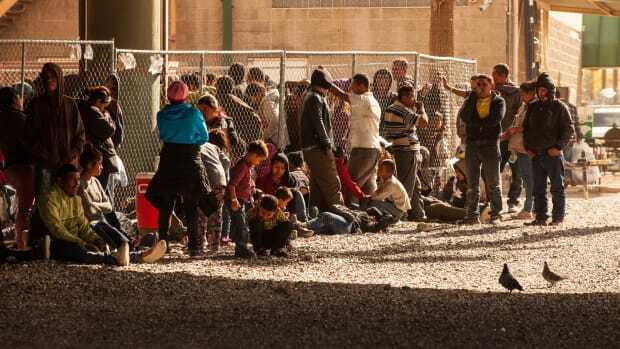 Central Americans asking for asylum on the border—as United States law requires—will be sent back from El Paso into Ciudad Juarez, another one of Mexico&apos;s most violent cities. 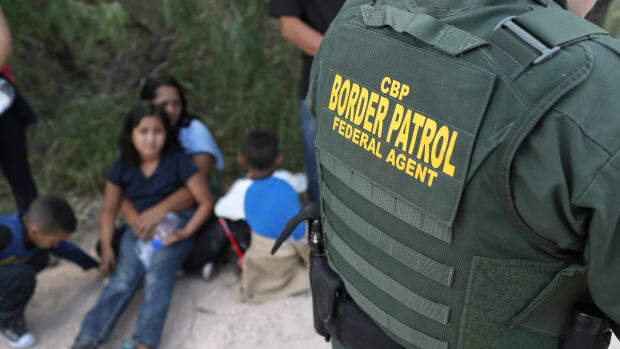 The Remain in Mexico plan, known officially as the Migration Protection Protocols, has quietly become one of the most consequential aspects of President Donald Trump&apos;s immigration policy. As with all of Trump&apos;s actions on immigration—like separating families or building a border wall—deterrence is at the heart of the plan. The administration is trying to make the process of asking for asylum involve more hardship, in order to discourage asylum seekers from traveling from Central America to the southern border. What makes the Remain in Mexico plan so consequential, however, is not its effectiveness: It&apos;s the fact that its opponents, like the ACLU, have thus far been powerless to stop it. When news reports about family separation broke last May, the intense public backlash eventually forced Trump to sign an executive order ending his administration&apos;s own practice. But it wasn&apos;t just public outrage that forced Trump to back down: On June 26th, a federal court judge issued an injunction against the family separation policy and ordered the government to reunite children with their parents. With the Remain in Mexico plan, however, opponents have not yet been able to win in either federal court or the court of public opinion. The plan, which advocates say critically endangers the well-being of people who may already be fleeing for their lives, has not drawn the sort of public attention that family separation commanded. And though the ACLU filed a lawsuit against the plan last month, no judge has agreed to the ACLU&apos;s request to issue a preliminary injunction. 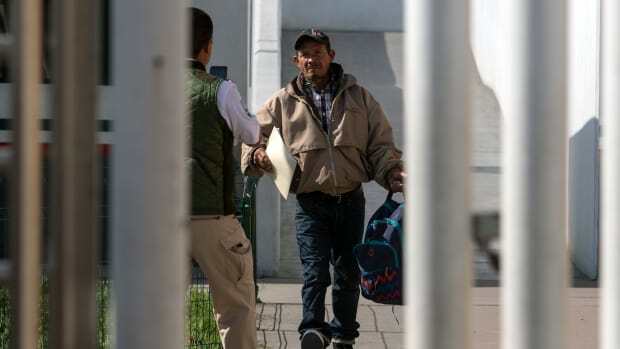 The ACLU has announced that, on Friday, its lawyers will ask a federal judge in San Francisco to issue a preliminary injunction against the Remain in Mexico plan as hearings for the lawsuit continue.